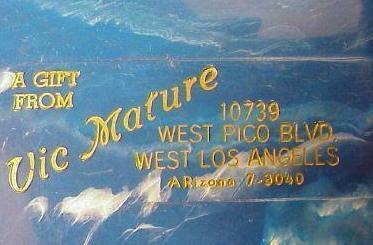 Here are two photographs of gifts that Victor gave to his customers who visited his store on Pico Boulevard. 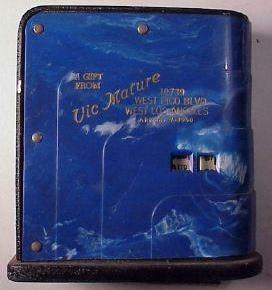 It is a blue bank that also told the current date. They're just so cute! Special thanks to Sunni for these photos!